So I am a complete novice when it comes to bike maintenance but working on a project mtb, old Saracen rufftrax. 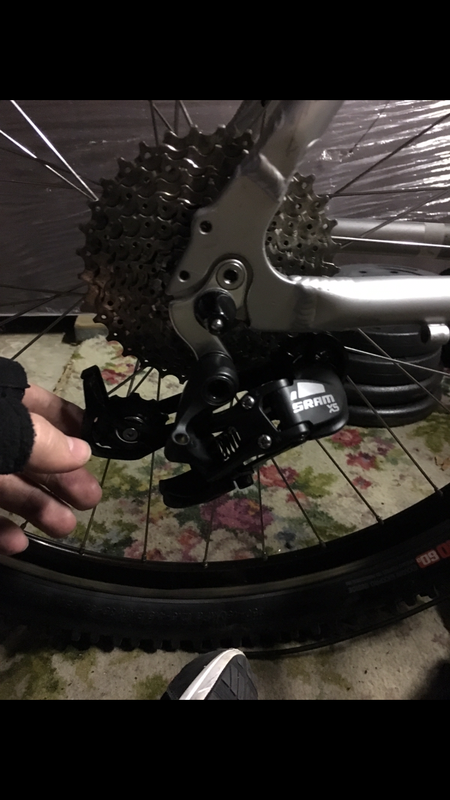 The rear derailleur was knackered so fitting a new SRAM x5, my question is do I need to buy a separate bolt/nut to fit it properly? The derailleur didn’t come with one and the derailleur seems to have too much movement. I assume you are using the derailleur bolt from the original with the new derailleur. Derailleur bolts are standard M10 x 1.0mm pitch, so that should be fine. 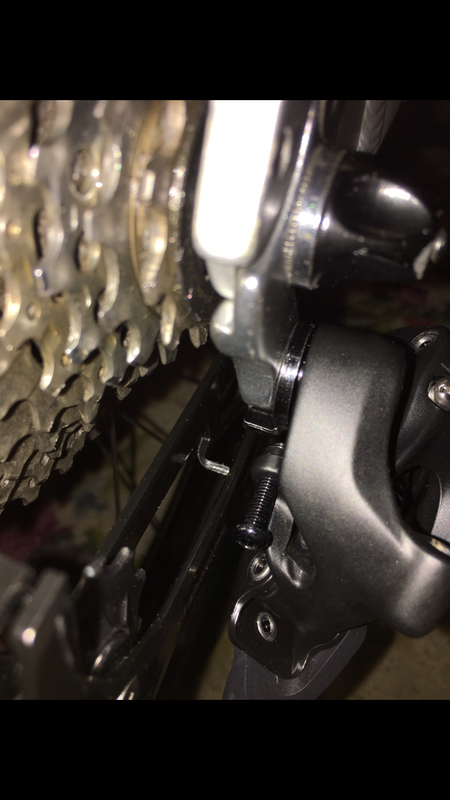 The derailleur should rotate around that bolt, as long as it's not loose and does not have any play it's OK. Without a chain installed the range of rotation will be quite wide, especially if the b-screw is wound out. 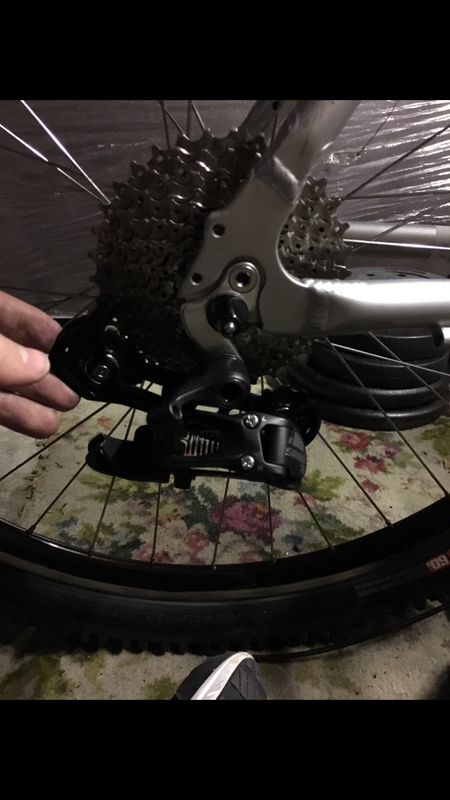 After installing the chain, just adjust the derailleur properly and you should be OK.
Make sure the B-screw adjustment washer is in place. If it isn't the derailleur would move laterally on the bushing the bolt goes through. BTW if you are a novice, there is plenty of bike wrenching instruction on the web. the Park Tool site and YouTube channel is a great resource. You are using a derailleur hanger that is too small for the frame. The hanger needs to fit exactly (like a jigsaw puzzle piece) inside the frame dropouts. It looks like you took off the old derailleur hanger with the old derailleur. 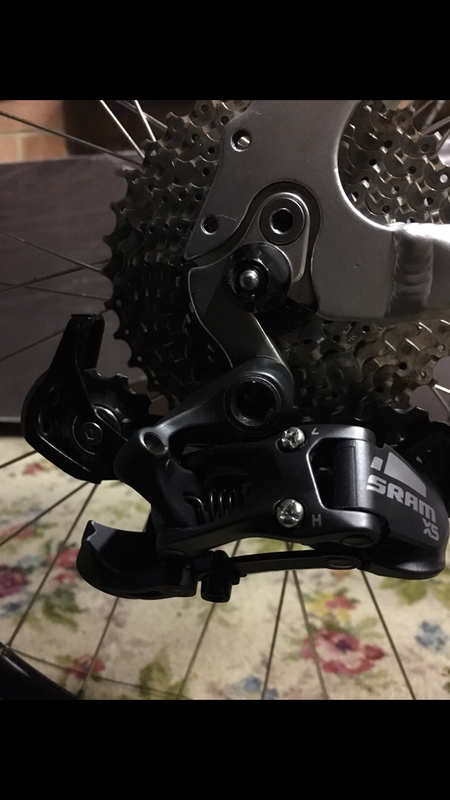 If the hanger is still ok, you'll want to use that old derailleur hanger and mount your new derailleur to it. 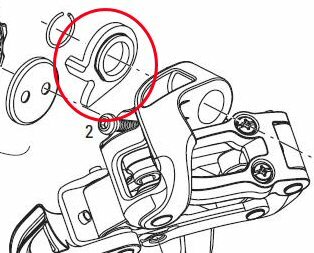 Derailleur hangers unfortunately come in hundreds of shapes, so getting an exact match can be challenging if you don't work through either the manufacturer or a local bike shop (that in turn often sells that brand of bike). Not the answer you're looking for? 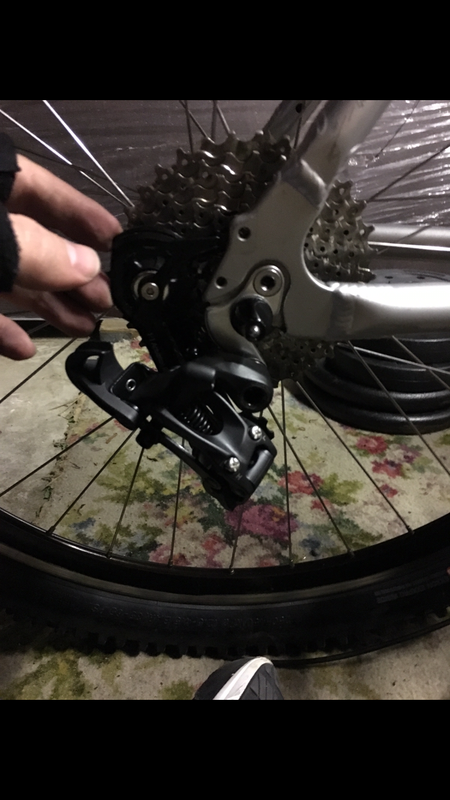 Browse other questions tagged mountain-bike gears derailleur-rear or ask your own question. sram cx1 without the sram cx1 crankset?